I've been having this weird allergy to lip balms and lipsticks going on three years now. I had been using conventional products for lipstick (which I rarely wear) and natural lip balms back when this all started. The first month when it started my lips felt like they were tingly and numb and then peeled. And peeled and peeled. For about a month. I switched from one natural product to the next, never quite figuring out what the ingredient in them that was causing the problem. I thought maybe it was the lanolin or maybe the SPF or some natural preservative like vitamin E. I finally got desperate and started using petroleum jelly and that's all that has successfully worked for me for the past three years. Anytime I would try my luck and wear an old lipstick, just for one night, the tingling would begin again. If I used it longer than once, my lips would peel for weeks. I eventually did find one tinted lip gloss that worked for me, but it had questionable ingredients in it and I didn't like the fact that the two things that worked for me were petroleum oil based. A while back, a reader emailed me saying that, she too, was experiencing the exact same problem and that petroleum jelly was the only product she could use on her lips or she'd have the same reaction. At this point, I knew there was something going on in some of these products, but still couldn't figure out what it was. About two months ago, I spied another product and thought I'd give it a whirl. 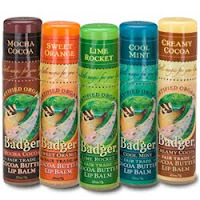 It is Badger Organic Cocoa Butter Lip Balm. And, by gum, it works and doesn't make my lips swell up and peel. I've been using it daily and have branched out to a number of the different "flavors" and haven't had any problems whatsoever. I love the Vanilla Bean (it smells like cookie dough), the Creamy Cocoa and the Mocha Cocoa. All of them rock. So, if you are looking for an organic, natural lip balm or are having problems with allergies and swollen, tingling, peeling lips, give the Badger a try! The usual small print thanks to the FTC: I am in no way compensated for this review, nor have I been in contact with this company. This review represents my own experiences and I have, in no way, been coerced (or, shall we say, badgered?) by large, midsized or small badgers into writing this review. Yes but if lipstick makes your lips swell then you have Angelina Jolie lips for free!!! There is always a silver lining! I find that anything with mint kills my lips D-E-D ded. Could that be the culprit? I rarely wear makeup anymore, but when I do I hate that the next day my eyes and lips will be irritated -- I definitely have to avoid the red lipsticks. Really love Badger products. But what really interests me is your peeling lips (creepy, I know). My mum has never worn lipstick, but she used to make her own soap and after she made and used a batch with lemon EO in it, her lips started to peel and look blistered all the time. The only thing that helped, even to this day, is Aquafor, which is petroleum based. That was like TEN years ago. I've never heard anyone else having such a weird lip problem. Maybe I can get her started on badger balm. I love Badger. And they are local to me, too, being the next town north (Gilsum, NH). They also have a great foot balm and healing balm, too. Lots of great stuff. I had that issue until I started making my own, which is *shamefully* easy. The Badger stuff looks good, too! Badger might be good - but BadgerBadgerBadger.com is inane. I guess, unless you are really into the University of Wisconsin Badger teams. For some reason - they made a small package and sold it for lip balm. It works. Lasts pretty well, too. My package is about 12 years old now - I don't use much, aside from winter - and the peach scent/flavor is long gone. But it still works great. Have to try that if I can find it! My daughter and I have the same problem lately. I thought it was just dry skin! I made a half-recipe of lip balm from a book I got from the public library. 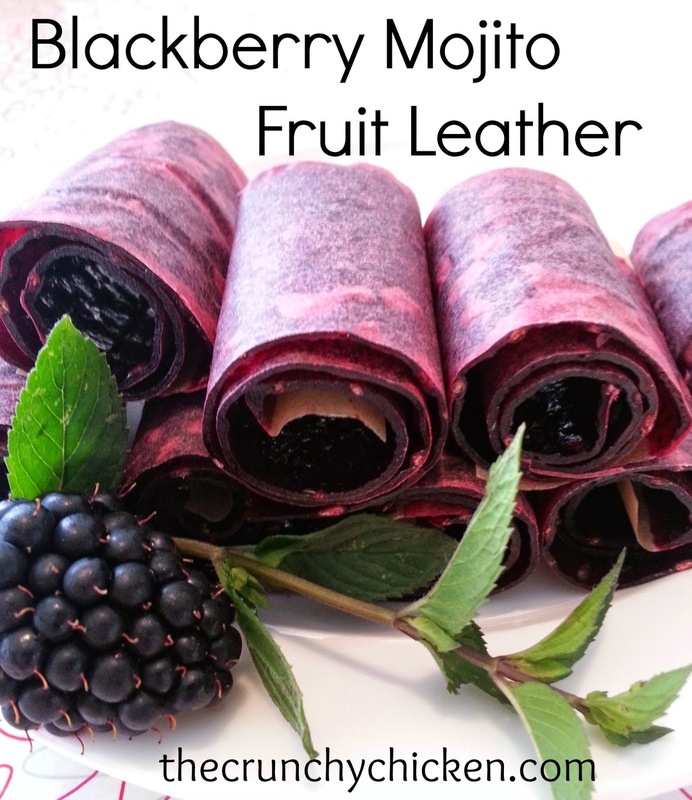 The ingredients are similar to the Badger list -- wheat germ oil, coconut oil, glycerine, beeswax, cocoa butter. I added vanilla, and the stuff is incredibly soft and yummy on the lips. I put it in clean contact lens holders. That half batch has lasted me and two kids for a year and a half now. So glad you found this product! I had the same issues with my lips but more severe and found out about food allergies causing my lips to fall off my face! I couldn't even open my mouth, it looked like I had a bad collagen injection! I eliminated my allergens and found badger. We started carrying it in my store it is so great! They have one of the safest sunscreens on Skin Deep, and a bug stick that I can't wait to try on my kids! I had the same problem with my lips about two years ago. The peeling was embarassing! Burt's Bees was actually the worst - I tried it again about a month ago and had the same bad reaction. I ended up switching to a locally made lip balm available through the co-op and also the one called Yes to Carrots. I've had peeling lips for at least 5 years and somehow I never considered the stuff I've been using to try and fix it might be making it worse! Good to know I am not alone and I may have to give Badger a try. The one product that has been working quite well for me is Yes to Carrots lip balm. I haven't found anything to beat Rachel Perry, but it's hard to find. I tend to bite my lips which leaves them in bad shape. I like to try new things, so I'll try the Badger when my current supply runs out. I also bought Kinerase lip treatment once on a splurge, and it was wonderful. I've had the same problem and had tried nearly everything. Thanks for mentioning Badger. I will be glad to leave the petroleum jelly ranks. But does it feel nice? I actually prefer the feeling of petroleum jelly, or a nice coat of blistex over any of the "natural" ones, because they feel like I'm waxing my lips! Definately a spot where I need to work on greening! It feels great! I don't have to apply constantly all day, it stays put and the longer it's on the softer my lips feel. It does what it's supposed to!! I have a problem with mint too any cracking leaves openings for mint oil to cause pain. My doctor and dermatologist said to avoid petroleum jelly. No reason provided. I have made my own too, and am teaching girl scouts how to tomorrow. It just seems like my ingredients spoil if I'm the only one using them. I don't like things spoiling! So I buy Badger. Or Get Real Lemons is good stuff too, Badger's a little better. I was just looking for something in my handbag and ran across a lip balm I splurged on at our local chocolate shop called "Sweet Beauty." I like it a lot but doesn't work as really fantastic as the Rachel Perry. Anyway the ingredients are beeswax, babassu oil, grape seed oil, organic fair trade chocolate, avocado oil, meadowfoam seed oil,acai oil,blueberry seed oil,pomegranate seed oil,red rasbperry seed oil, cocoa extract and rosemary seed oil, tocopherol. lots o' good antioxidants. Maybe I'll try to wear it all week and see if I can gauge the effect. Peak Oil Hausfrau - Burt's Bees made it worse for me, too. Rosemary - No, petroleum isn't good, which is why I hated using it and why I so love The Badger. Tocopherol can cause some allergy problems in people: http://www.medscape.com/viewarticle/579340_2. Dea-Chan - It's a little thicker than petroleum jelly, but it's not waxy. I had the same lip peeling problem with a friend's homemade lip balm. She said I was most likely having a reaction to the beeswax she used in the lip balm. She said beeswax causing lips to peel is very common. Bummer. Because I'd rather by my lip balm from her small business than one that is made with petroleum products that my lips tolerate. I have a similar problem with hand cream - petroleum based products work well, but any natural product irritates the heck out of my skin and causes eczema. Cream with coconut, sunflower, avacado, grapeseed oil, cocoa butter - natural products with these ingredients all seems to cause horrid horrid rashes. Maybe there is some base ingredient that I'm horribly allergic to. When I used coconut oil by itself it irritates my hands and just sits on my face or body and doesn't absorb. The only oil that I've found that actually absorbed into my skin and doesn't irritate my hands is olive oil. I use it every couple of days because if I use it more often I break out with pimples all over my body. I really wish I could use natural products but I've gotten to the point where I'm scared to use anything that isn't boring bland moisturel, aquaphor, or olive oil.